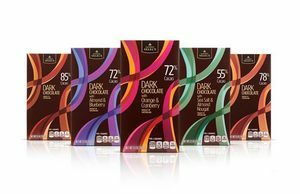 SAN FRANCISCO, CA--(Marketwired - Apr 22, 2014) - Anthem, a global creative agency that actively connects brands with consumers by amplifying desirability from package design to brand campaign to drive brand performance, announced today that its San Francisco office has been honored with five packaging design awards recognizing packaging design excellence for Safeway SELECT® private brand. 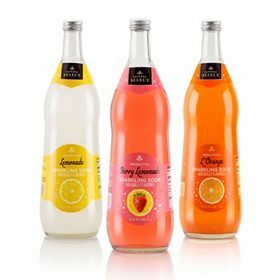 Anthem received a 'Silver' award for its packaging design of Safeway brands' Safeway SELECT® French Style Sparkling Sodas and a 'Bronze' for Safeway SELECT® Chocolate Bars in the Vertex Awards International Retail Brand Design Competition. The name Vertex -- the highest point of something; apex or summit -- was chosen by competition co-creators, Christopher Durham, founder of My Private Brand and Philip Russo, publisher of Global Retail Brands, because it exemplified their goal to push the industry forward and set a new standard for the recognition of superior design and great retailer-owned brands. "Packaging is perhaps the most valuable vehicle for a brand and plays a key role at 'shelf' whether that shelf be in store, online or in home," says Tom Holownia, managing director of Anthem's San Francisco office. "Design that creates emotional connections helps make a brand more desirable and this desirability from the shelf out is a powerful approach to amplifying a brand's anthem." Winners of the 2014 GDUSA American Package Design Awards are those select creative and marketing talents who best use the power of design to advance the brand promise, forge an emotional connection with the buyer at the moment of truth, and help make the sale. The HOW International Design Awards recognize excellence on a global level. Its international design competition winners span the globe and give readers of HOW magazine a taste of design innovation on an international design scale. Holownia concluded: "It is an honor for Anthem to be recognized with five prestigious awards for packaging design excellence. We are fortunate to work with a visionary client like Safeway that understands the power of design and the role packaging has in creating brand desirability. 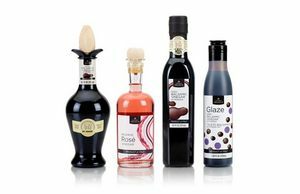 Packaging doesn't just contain the brand, it is the brand."